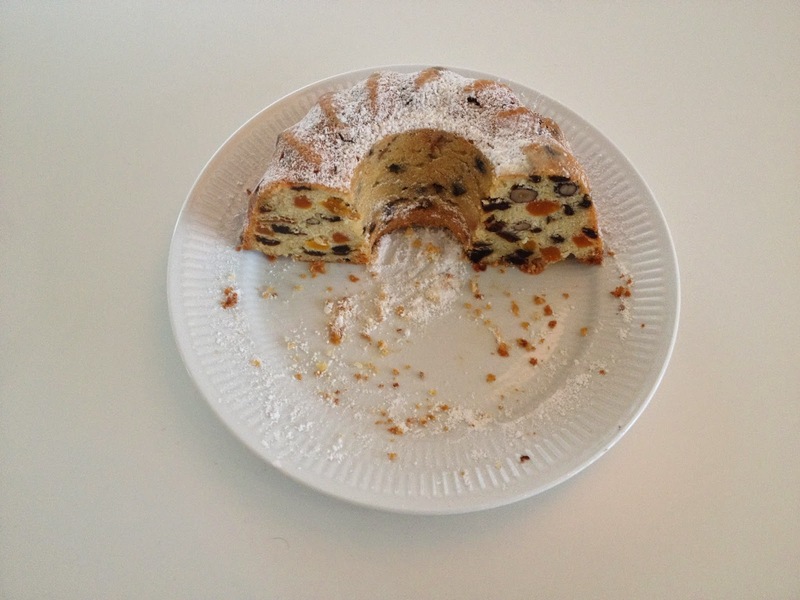 For Christmas in Sweden I decided to try a "Fruktkaka" or fruit cake with lots of dried fruit in it. 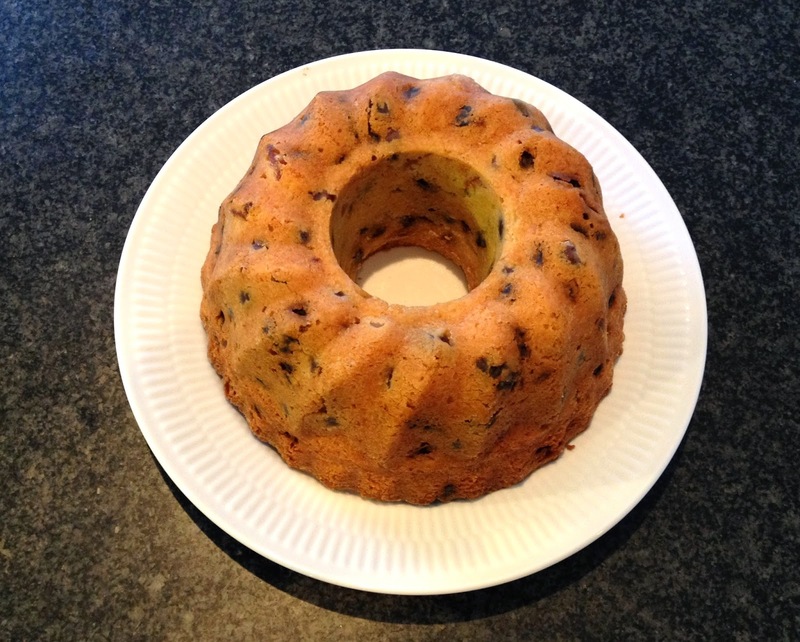 It's a lighter and easier-to make alternative to the British "plumpudding" and heavier more cake-like alternative to the Italian "panettone". You can use any fruit you like (and nuts too such as hazelnuts or almonds if you like) and I included apricots, plums, raisins and figs. Whip up butter and sugar. Add eggs one by one, whipping in between each one. In another bowl mix flour, salt and baking powder. 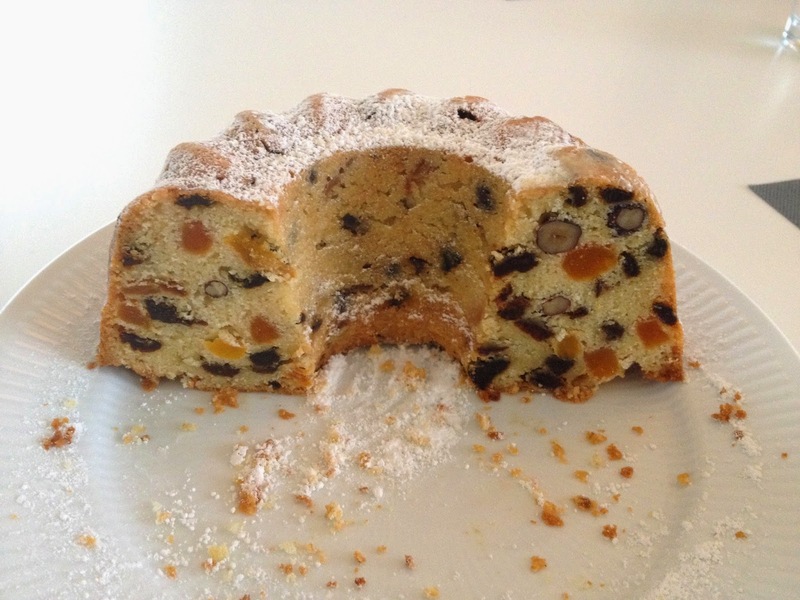 Add cut-up dried fruits and mix with flour: use scissors to chop up apricots and plums. 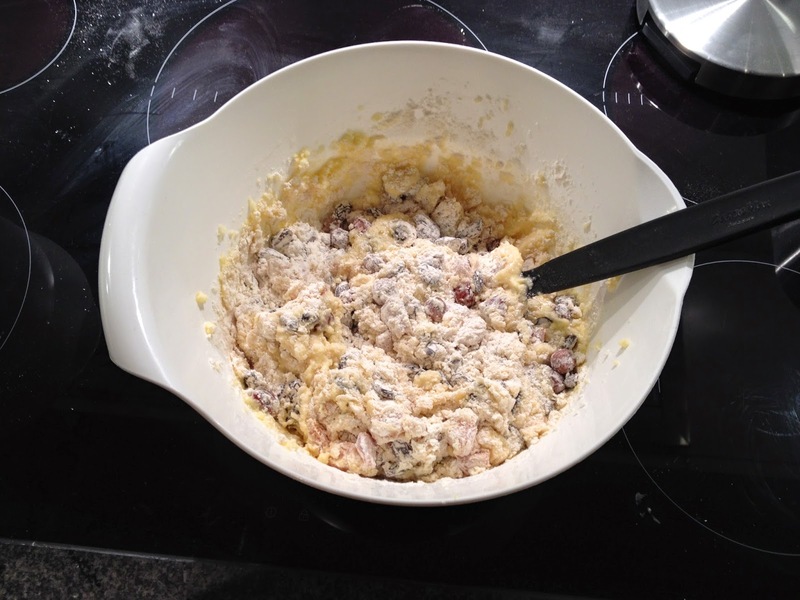 Add flour and fruits to egg mix and incorporate (it will be a thick sticky dough). 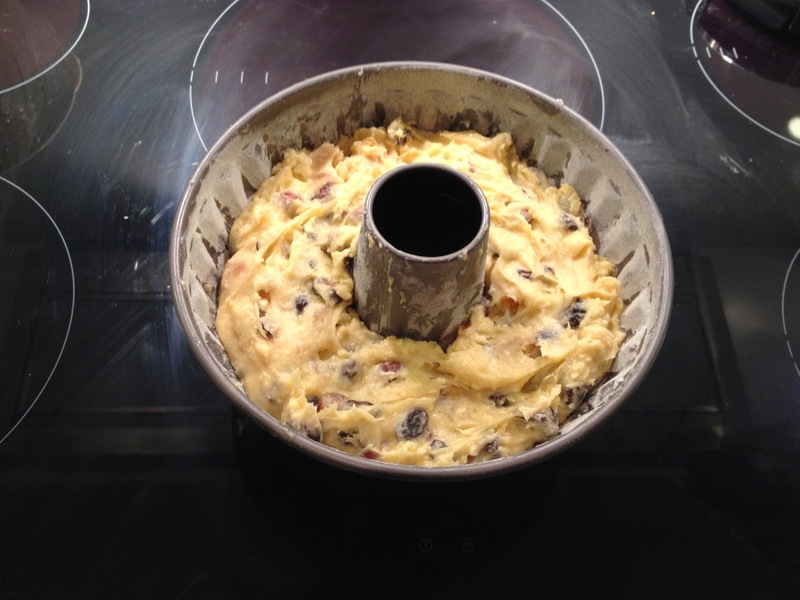 Transfer dough to a buttered and floured Bundt cake form (2 liters volume - you can also use a standard long cake pan). 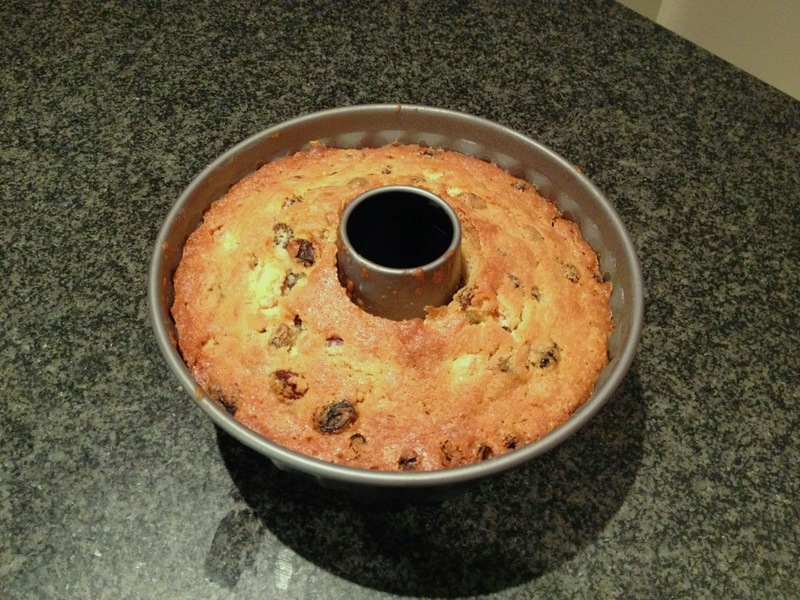 Bake in the oven 1h15 at 150-160 C.
Flip the cake upside down on a plate and let it cool in/under the cake form. 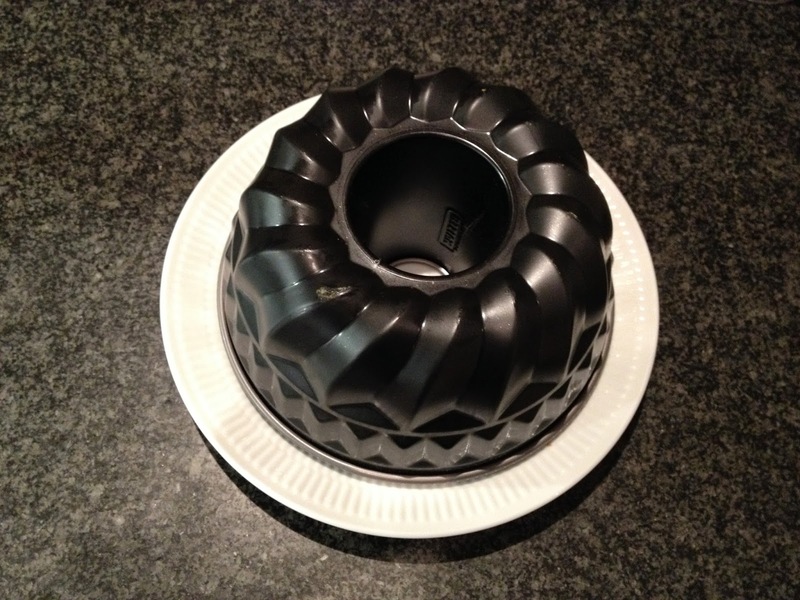 When cool, wrap the cake in plastic foil and let it "age" for a few days (3-5) at room temperature before serving. 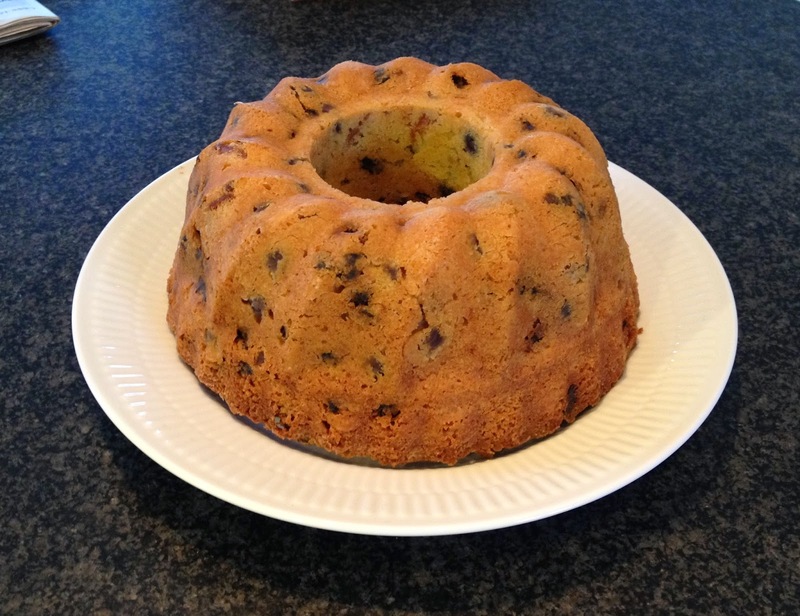 Decorate the cake with some powder sugar and serve. Enjoy!